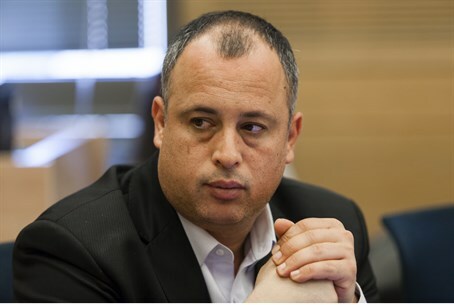 The Left has come up with its response to the proposed Jewish State Law - the 'Declaration of Independence' Law, said MK Hilik Bar. The Left has come up with its response to the proposed Jewish State Law. Proposed Sunday by MK Hilik Bar (Labor), the “Declaration of Independence” Law would provide a fitting counterbalance to the law that stresses Israel's identity as a Jewish state, claims its author. Bar intends to propose the law Monday. According to Bar, the Jewish State Law “is awakening nationalistic voices that propose discriminating against a segment of the Israeli population. It is very important to enshrine in law the principles of Israel's Declaration of Independence, which stresses the principles of equality, which will remind all of us what the central basis of our communal life in Israel is all about,” Bar wrote in a codicil attached to the proposal. The Jewish State bill, which passed a crucial cabinet vote, would emphasize Israel's Jewish character while retaining the democratic rights of all citizens. It relegates Arabic to a "special status" language instead of an official language, and stipulates “the right to realization of national self-determination in Israel is exclusive to the Jewish people.” It was to be discussed in the Knesset this week, but the government decided to postpone the discussion until next week.